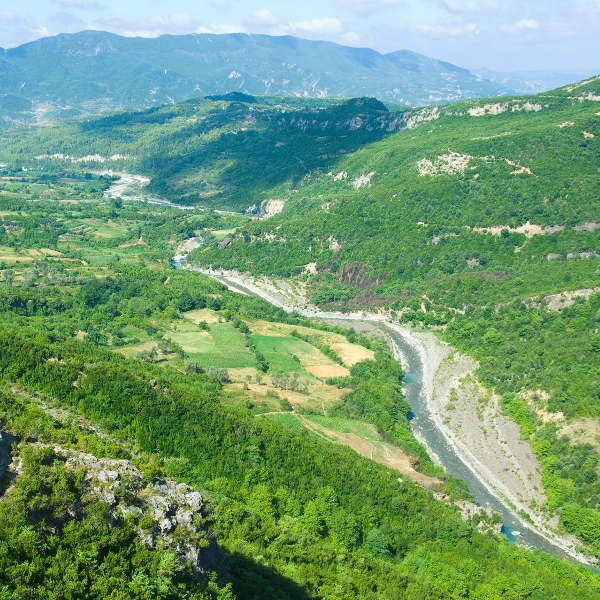 Surrounded by lush hills and mountains is where you’ll find Tirana, the capital and largest city of Albania. With over 418,500 residents, it is said to have been inhabited since the 3rd century! Now, this metropolitan city is known for its arts and cultural activity. Popular tourist attractions include Bektashi World Centre, Et’hem Bey Mosque and Mount Dajt. Prepare yourself for a beautiful trip, because cheap flights to Tirana are now available for a limited period of time. Tirana is home of Tirana International Airport (TIA), which is located just 30 minutes from the city centre. Tirana was founded by the Greeks, taken over by the Romans and influenced by Italy and Turkey too. 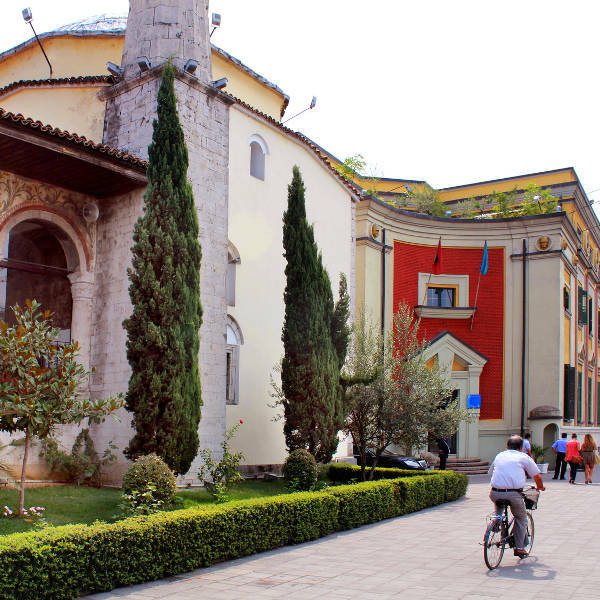 To learn about its rich history, visit the Archaeological Museum. Just outside the city is where you’ll find serenity and the clear, crisp waters of River Erzen. Join a guided tour and head out to this amazing location. With influences from all around Europe, the unique architecture and bright colours of the city is truly something to behold. The nice thing about Tirana is that, unlike other European cities, it doesn’t get overly busy at any one time in the year. This means you can enjoy a great summer holiday (June to August) in the city without all the overcrowding that usually comes with this time of the year. That said, it gets very hot in summer, and as the allure of Tirana lies in the mountainous area and city strolling, it would be a better idea to visit over spring (March – May) and autumn (September – November). Luckily, Tirana enjoys moderate to warm temperatures (average of 18°C) over this period and you can enjoy walks up Mount Dajt without breaking too much of a sweat. The advantage of visiting a city such as Tirana is that you can enjoy the city and feel more like a traveller than just another tourist. This is because Tirana does not get overcrowded by tourists and the people of the city are also just so welcoming. It is not uncommon to be invited for coffee or a drink by a local. Having so many influences from other cultures, the streets in the city are lined with the most unique combinations of buildings and architecture designs. There is also no short supply of colour, as residents have decorated their homes in all the colours of the rainbow. Residents will recommend that after a full day of sightseeing you put your feet up and relax at Parku I Madh, the city’s grand park. There is also a botanical garden and zoo in the same area. Compare several airlines and book your cheap flights to Tirana online at Travelstart! It is perfectly safe to travel to the lovely city of Tirana. The people are very tolerant of visitors and may even invite you to their homes. If you are planning on driving though, be warned that Albanians in general do not follow the rules of the road much; but this is apparently quite common in the southern-eastern region on Europe. It is always important to have your vaccines up to date when you are travelling. When visiting Tirana, it is recommended to get a vaccination for hepatitis A if you think you’ll be eating any exotic food. It is also a good idea to get a shot for hepatitis B, and rabies if you plan to spend some time doing adventurous activities or interacting with animals.